The KRK Rokit RP4 G3 Studio Monitor (Silver)is the new powered speaker offering high quality performance and precision for mixing, mastering, recording and playback. 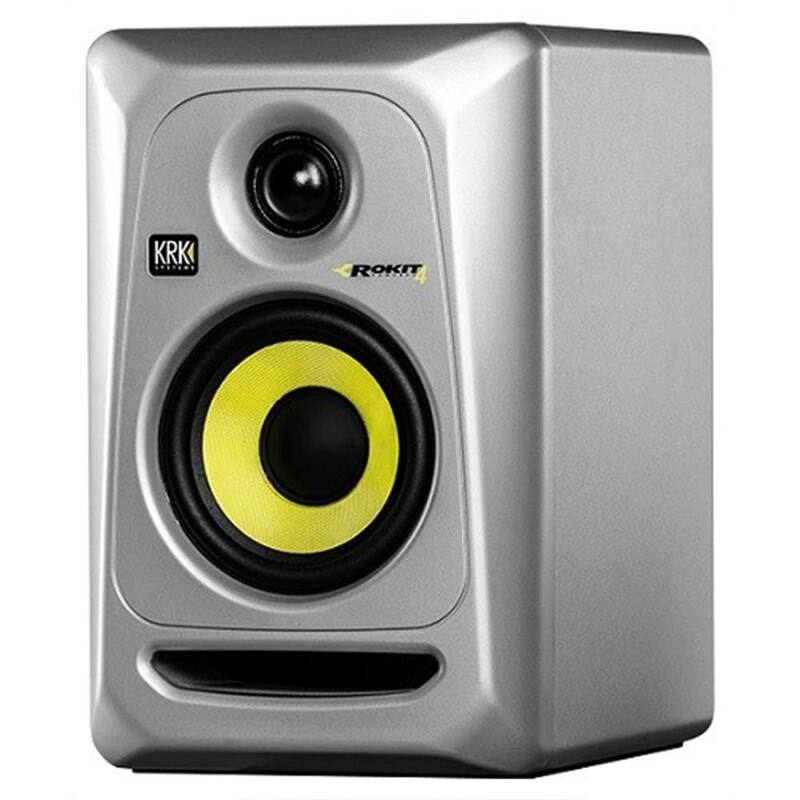 The KRK Rokit RP4 G3 Studio Monitor (Silver)is the new powered speaker offering high quality performance and precision for mixing, mastering, recording and playback. 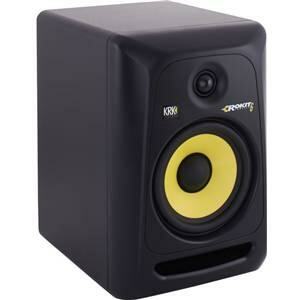 The unit itself consists of a 1” soft dome tweeter and a 4” glass-Aramid composite woofer. 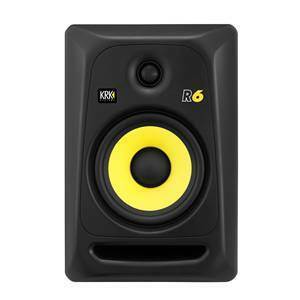 KRK's ROKIT RP4 G3 delivers a frequency up to 35kHz with extensive bass response and vocal lucidity. 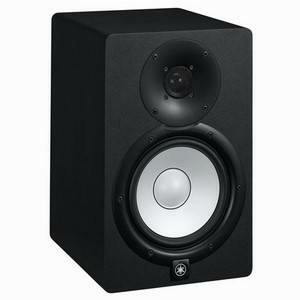 The studio monitor can be positioned almost anywhere in the room due to the front-firing bass port (reduces boundary coupling) and the engineered surface (reduces diffraction distortion). 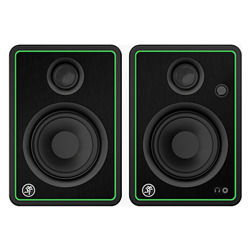 The bi-amped, class A/B amplifier tolerates SPL up to 128dB. 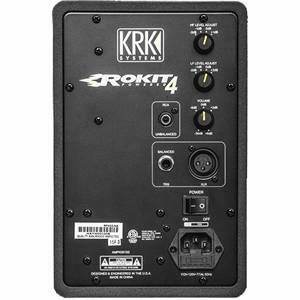 There are numerous input connections which allows the ROKIT 4 G3 to simply join any equipment set up. 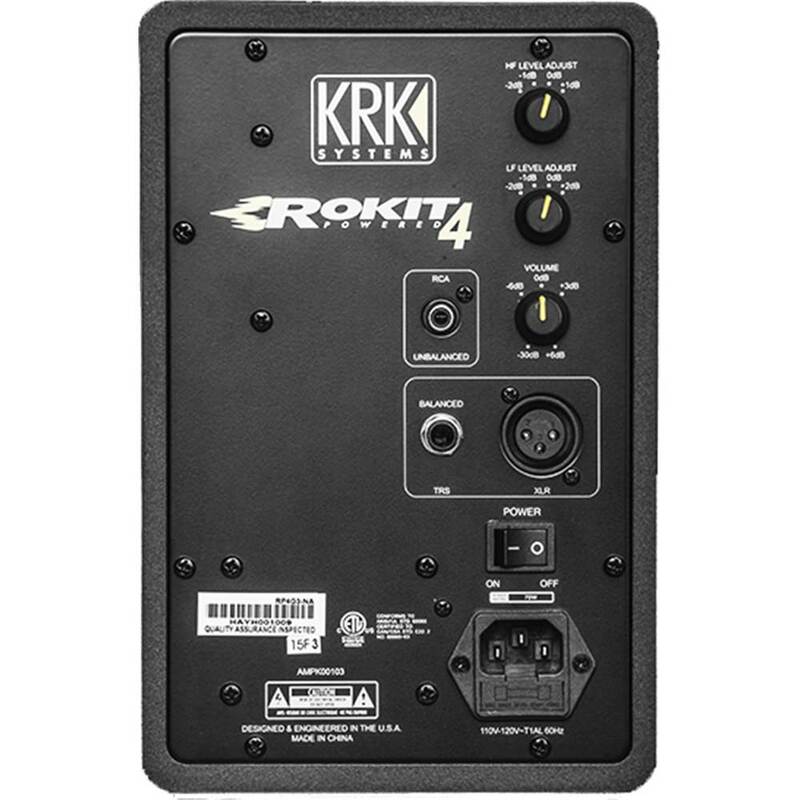 Out of the KRK series the ROKIT 4 is an ideal monitor to fit smaller rooms and any desktop application, due to its compact design whilst safe in the knowledge the quality of the sound is not compromised. The ROKIT RP4 G3 is available in 3 colours – Black, White and Silver.